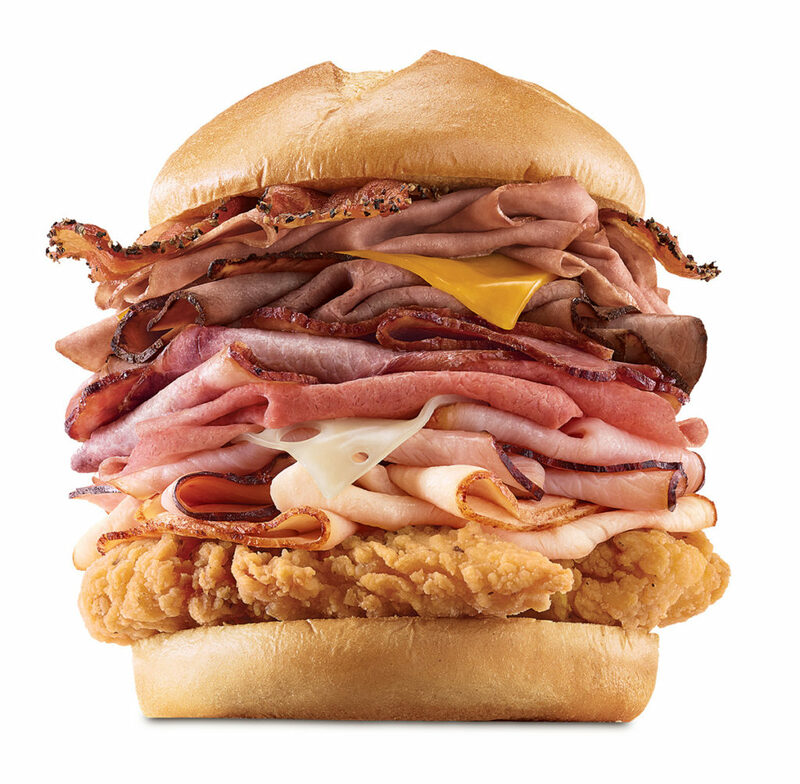 ​The biggest sandwich Arby’s has ever sold. Stacked ridiculously high with almost all the meats. Two chicken tenders, slices of roast turkey, pit-smoked ham, corned beef, 13-hour smoked brisket, USDA-choice Angus steak, roast beef, and pepper bacon. There’s also cheddar and swiss cheese somewhere in there.